Perfect for any stylish little sports fan! Show off your baby's unique style with this Wildcats Baby Girls Dress. 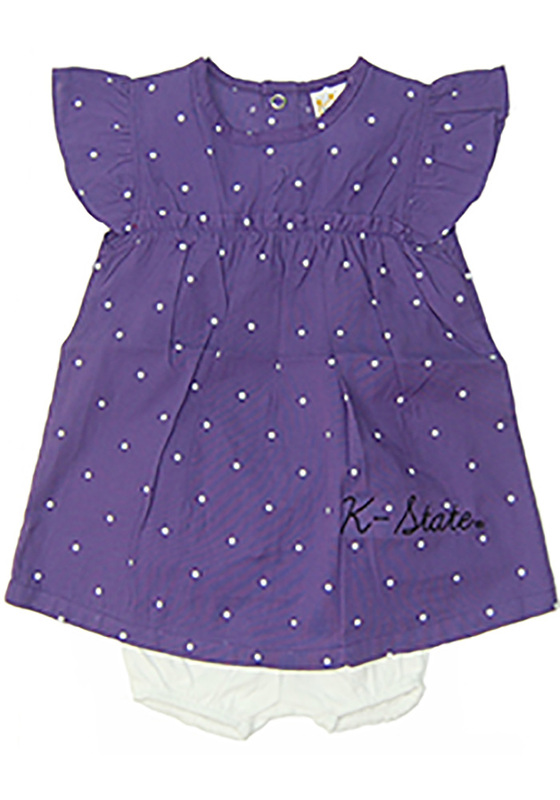 Featuring a ruffled top with team graphic embroidery and team color bloomer set, this K-State Wildcats Purple Dress is the perfect way to start them early and show K-State Wildcats pride at the same time.